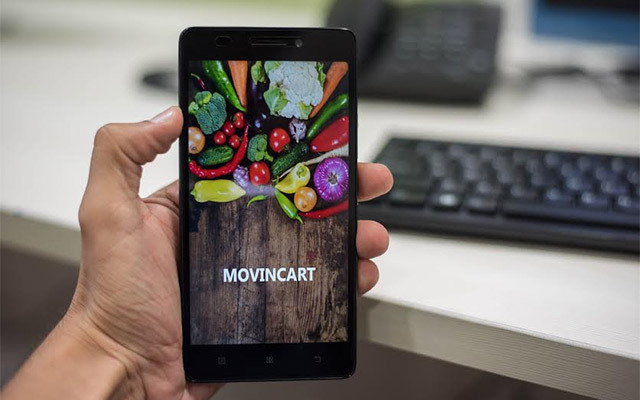 Hyperlocal grocery delivery app MovinCart has closed down its operations, with two of its three founders setting up a logistics-tech startup, a person close to the development, who did not want to be identified, told Techcircle.in. According to the person, the hyperlocal delivery space had become too crowded and was facing challenging unit economics. Therefore, MovinCart had decided to exit the space, he said. MovinCart, run by Cloudplay Technologies Pvt. Ltd, offered home delivery of groceries and dairy products in Mumbai and employed up to 50 employees, according to its LinkedIn profile. It closed its operations in January, the person cited above said. While co-founder Rajat Jain quit the company in January, the other two co-founders, Nikhil Gupta and Anurag Meena, set up the logistics-tech platform, under CloudPlay Technologies. When contacted, Jain confirmed that he had quit, but declined to provide additional details. Gupta and Meena declined to comment. The Mumbai-based company was founded by IIT Bombay alumni Nikhil Gupta and Anurag Meena, and IIT Delhi alumnus Rajat Jain in March last year. Prior to founding MovinCart, Gupta worked at food-tech startup TinyOwl, while Meena had founded a health startup. Jain was also working at TinyOwl before co-founding MovinCart. It had raised an undisclosed amount in seed funding from a clutch of high net-worth individuals (HNIs) in July. The hyperlocal delivery space has faced headwinds lately with investor funds drying up and high cash burn rate. Last month, Snapdeal-backed PepperTap, shut shop to focus solely on its logistics business. In October, Grofers had temporarily halted operations in Delhi and parts of the national capital region to resolve last-mile delivery issues. In January this year, it discontinued its business in nine cities, citing lack of demand. Among other grocery delivery startups that shut shop, Mumbai-based online supermarket LocalBanya stopped taking orders in October 2015. It tried to revive itself but its discussions with three investment groups failed. Earlier this year, Flipkart closed its grocery delivery app Nearby while Ola shut its Ola Store service. On the flip side, Jugnoo, that just topped up its Series B funding round with additional money from existing investors, is now looking to again scale up the e-grocery business. It aims to launch its e-grocery service in all 30 cities Jugnoo is present in.